The second stage, based on the needs assessment and defined objectives, is to decide on an appropriate response. There are potentially three ways of addressing this: extending or improving an existing response; importing an approach or programme that has been used elsewhere; or developing a new intervention. In some cases, it may be most appropriate to slightly modify existing responses (e.g. extending opening hours of a service or adding a component to a training programme). 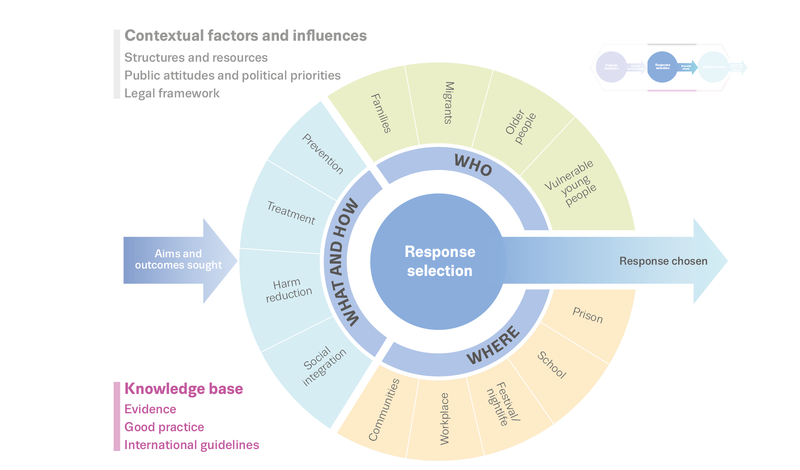 In other circumstances, a new intervention will be required and a number of factors need to be considered to help select the most appropriate and effective response.